President Donald Trump met Kim at a historic summit in Singapore last month and the US leader has been bullish about hopes for peace, boasting that the threat of nuclear war is over. 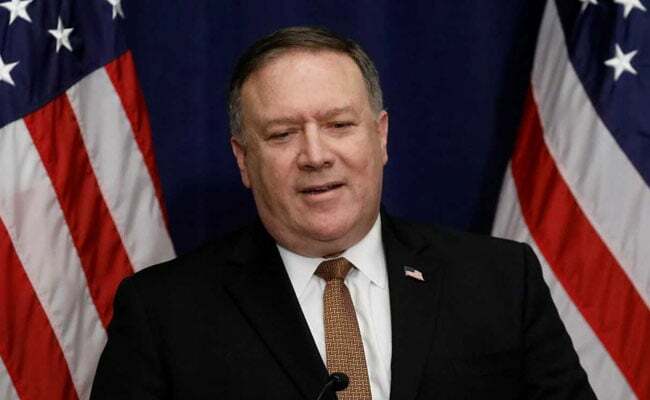 US Secretary of State Mike Pompeo left Washington on Thursday bound for Pyongyang and his latest round of talks with Kim Jong Un on North Korea's nuclear arsenal. Washington's top diplomat and senior aides took off shortly after 2:00 am and were due in the North Korean capital on Friday, where Pompeo is to stay overnight for the first time. But the statement the leaders signed was short on detailed commitments and Pompeo has been tasked with negotiating a plan to achieve the "complete denuclearization" of the Korean peninsula. This would involve Kim making a detailed declaration of the extent of his nuclear arsenal and enrichment program, and agreeing a timetable for it to be dismantled and placed under inspection. Washington hopes that the process can be underway within a year, but many expert observers and Trump critics warn that Kim's summit promise meant little and the process could take years. In the meantime, Pompeo and Trump have vowed to keep in the place the international economic sanctions that they believe forced the North to the negotiating table in the first place. After talks late Friday and early Saturday in Pyongyang, Pompeo is due to fly on to Tokyo to brief his Japanese and South Korean counterparts. His round-the-world diplomatic voyage will then take him on to Vietnam and then Abu Dhabi before he arrives in the Belgian capital Brussels to rejoin Trump for next week's NATO summit.